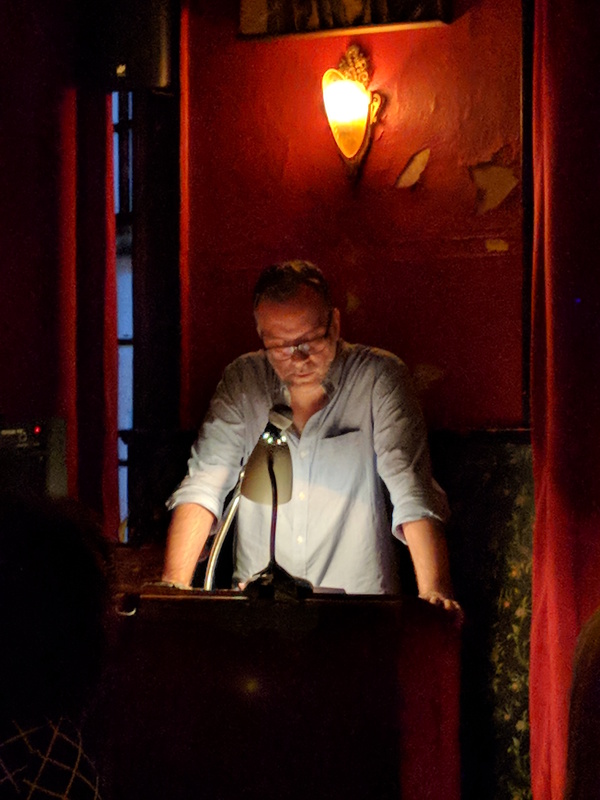 I read last night (Thursday, August 2) at the MWA-NY Crime Fiction Reading Series amid the moody crimson shadows of KGB in the East Village. The lineup included Casey Barrett, Kellye Garrett, Rob Hart, V.S. Kemanis, and James McCrone, and the event was hosted by Jeff Markowitz. The audience really seemed to like the flash fiction story I read, so I’m encouraged to send it out to find a home. And a donated copy of Roachkiller and Other Stories was not the last in the raffle pile. Thanks to V.S. Kemanis for the picture!